I've been a bit of a Jo Malone fan for some years now and was thoroughly spoilt this week with a box of goodies from the UK when Neil arrived home from a quick trip to England . ready to twist free from the tree. The surprising, sensuous freshness of sweet pears is wrapped in a bouquet of white freesias, on a subtle background of scrambling wild roses and skin-warming amber, patchouli and woods. uniquely composed around an intensely fruity pomegranate accord that warms on the skin to reveal an incredible sensuality through the combination of patchouli, frankincense and spicy woods. Seductive and utterly compelling. The other night I bathed in one fragrance, slathered on the body lotion in another fragrance and couldn't resist a quick spray to compliment the wonderful aroma that was engulfing the whole house. 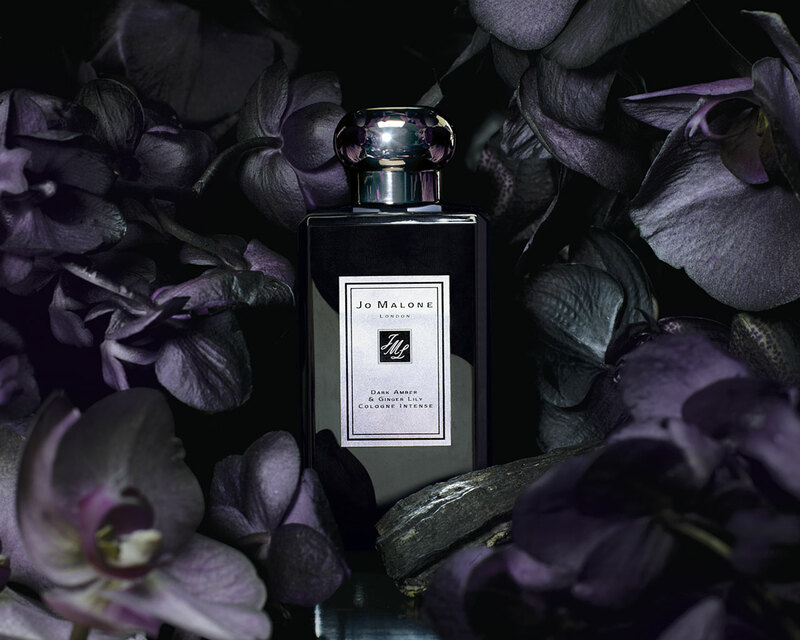 If you're familiar with Jo Malone products you'll know that she suggests 'fragrance combining'. This is a clever concept to layer different fragrances to create your own scent. Her website ( here ) gives suggestions depending on the mood you want to create or feel. It's a great way of using just a few perfumes to create a number of different personal fragrances. For my birthday a few years ago a couple of lovely friends bought me a cologne collection set of six small bottles, and I loved trying out the various combinations. The Dark Amber and Ginger Lily wasn't on my wish list and he picked it out by himself - I was impressed - very impressed. Quite a few of the Jo Malone fragrances are suited to both men and women and I suspect that this one might just empty a touch sooner than some of the other bottles on my dressing table! I also love Jo Malone. may be a trip to the U.K.
so I will definitely stock up! up one of Jo's Christmas catalogs. I have never sniffed a Jo Malone fragrance but by the descriptions they smell divine! You lucky thing getting sm many beautiful treats. Thanks for your comment about my flowers yesterday. To answer your question. I've set out the garden so the front yard is blues, whites and yellows and out the back is where I have all my red and pink roses along with anything else I might fancy. It's really not that stunning from afar as there are crappy old fences, slabs of concrete and so on that ruin the pretty picture!